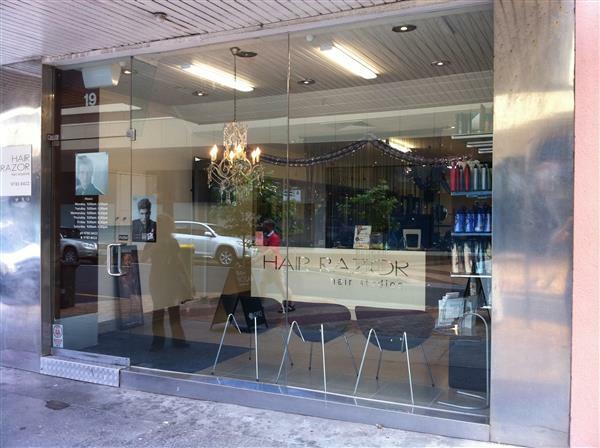 You can book at Hair Razor Frankston online using our Book Now button located above. Select from a list of services offered, pick your favourite Hair Razor staff member and book from the dates available. Established in 2002 and located in the heart of Frankston, Hair Razor has quickly become one of Bayside’s leading hairdressing salons. Offering a complete range of services and products, the Hair Razor Team are focused on creating styles that reflect the personality and lifestyle of each individual client. Skilled foil and colour specialists our technicians also specialise in Hair Extensions, Colour Correction and Men's Hair and grooming. Our Hair Extension methodology provides an affordable way for our clients to have longer and thicker hair without the use of harsh glues and chemicals, using only the best quality hair available. We offer a variety of application techniques and also have a full range of Real Human Hair and Synthetic clip in's and pieces for special occasions. Hair Razor also offers Men a personalised service with advice on grooming, natural looking blended colours, American Crew trained stylists and a full range of styling products. Come and experience Hair Razor. The overall ranking and star rating is based on customer reviews received in the last 6 months. All customers that paid for a service at Hair Razor were requested to complete an independent review by mylocalsalon (a minimum of 26 reviews are required within the last 6 months to receive a ranking). Running a little late, but very happy with my hair as always!